Providing clean drinking water for the more than 400 pre-K-8th grade students at the school has been difficult. 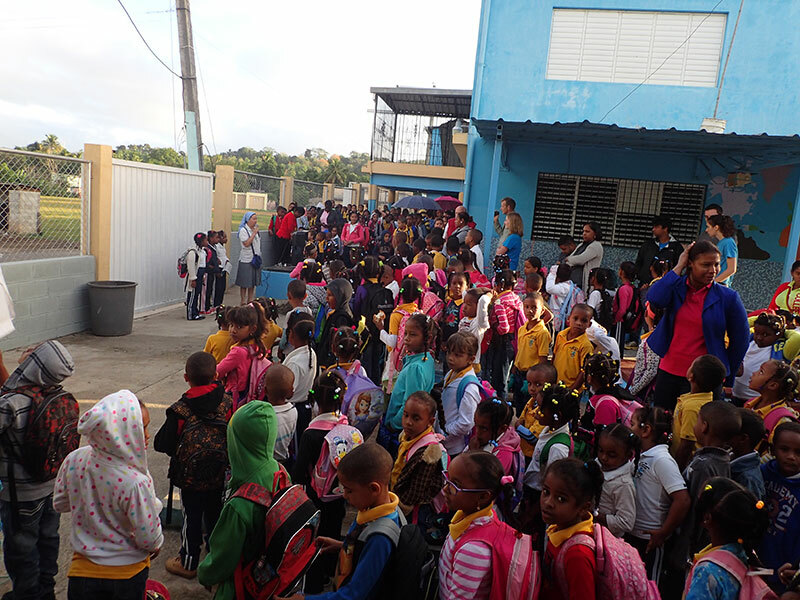 There are two wells at Escuela Taller Santa Maria Josefa Rosello, but school officials have been purchasing bottled water—a strategy that is both expensive and unsustainable long-term—after there was a fear of ground water contamination on-site. 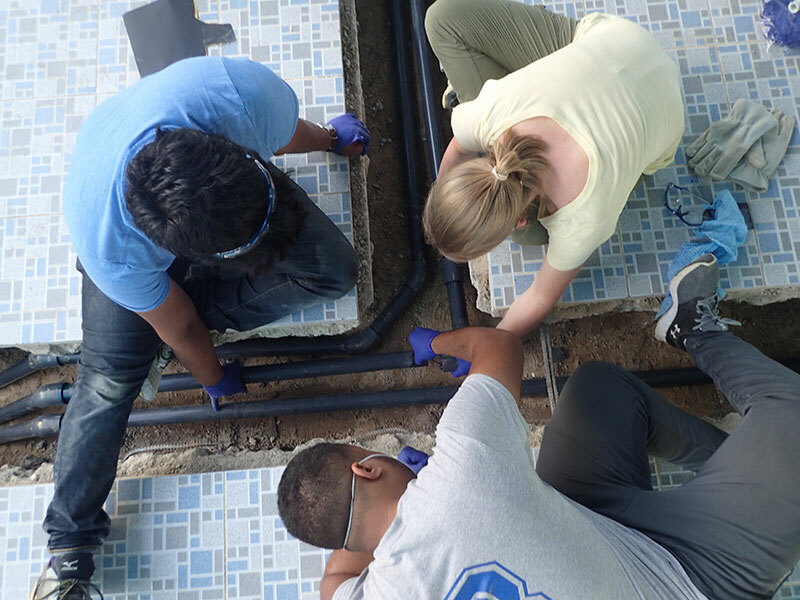 Engineers Without Borders USA pairs individual EWB student and professional chapters with specific community engineering or infrastructure projects such as this one. 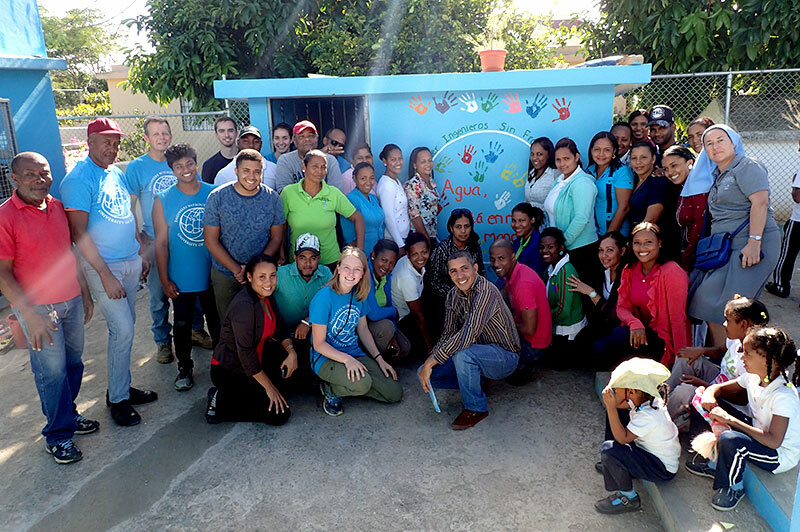 The University of Rochester’s EWB chapter was matched with Escuela Taller Santa Maria Josefa Rossello in 2014. During their winter break this past January, six members of the University’s EWB chapter—mechanical engineering majors Grace Caza ’17, Burak Tuncer ’17, and Fernando Suarez ’18, biomedical engineering majors Eva Hansen ’18 and Dilshawn Gamage ’19, and Ab Salazar ’19, a dual major in computer science and economics—along with their professional mentor Dwight Harrienger, a Rochester-based civil engineer at the consulting firm Stantec, travelled to the rural community of Don Juan, where the school is located. There, they implemented a water disinfection system in preparation for supplying the school with potable water. This was the chapter’s third annual trip to the site as part of a five-year commitment to design and integrate the system and educate the community about maintaining it going forward. The project gives University students the opportunity to apply the knowledge and skills they learn in the classroom to engineering problems in developing countries, and empowers the communities to sustain these systems. This third trip was a culmination of years of planning, fundraising, and developing community relations with a school 1,700 miles from Rochester. 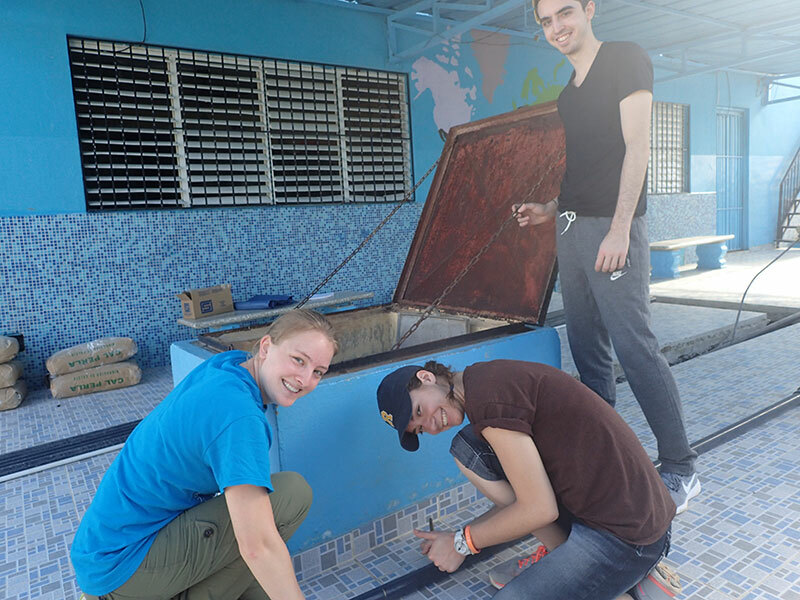 University EWB members first went to the Dominican Republic in 2015, when they met with community partners and conducted initial water assessments. They inventoried various local hardware stores to determine material availability and the feasibility of transporting these materials along mostly dirt roads to the school. The second assessment trip in 2016 involved more detailed water analyses and bacterial testing. Once they gathered the data, they created three designs, and submitted these, along with the pros and cons of each, to the national EWB headquarters and to their partners in Don Juan. 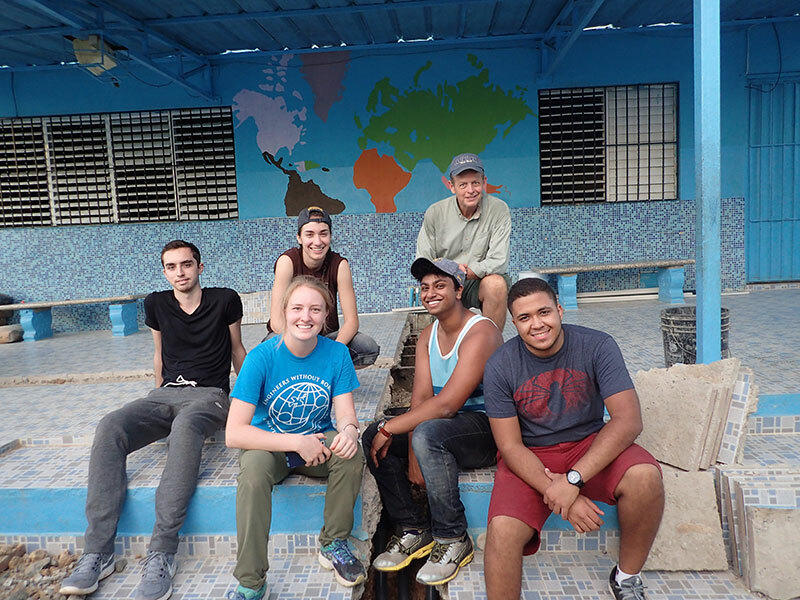 Although only a handful of students go on each trip, the University’s EWB chapter includes many more students, all of whom assist with various aspects of the project, from designing the plans and fundraising, to creating an instructional video and manual in Spanish that explains the system for residents. 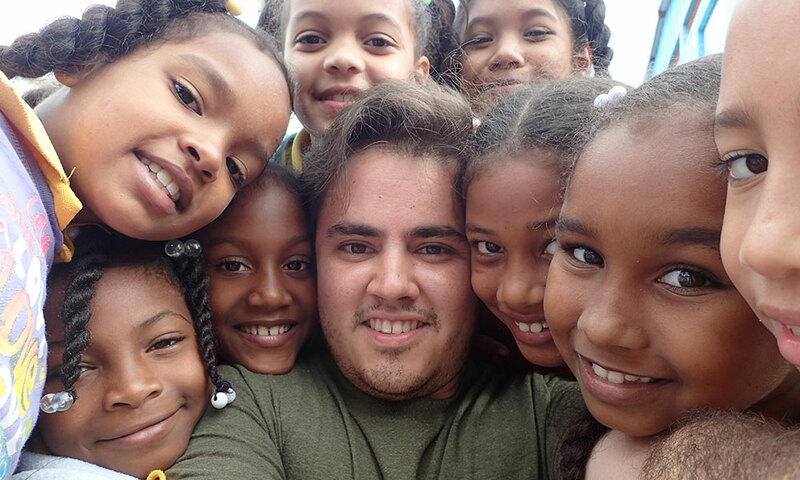 Team members stayed with host families in the rural town of Don Juan, about an hour from the country’s capital of Santo Domingo, and home to approximately 9,000 people. One of the main objectives of EWB is not only to provide solutions to infrastructure and engineering problems, but to teach communities how to sustain these systems themselves. 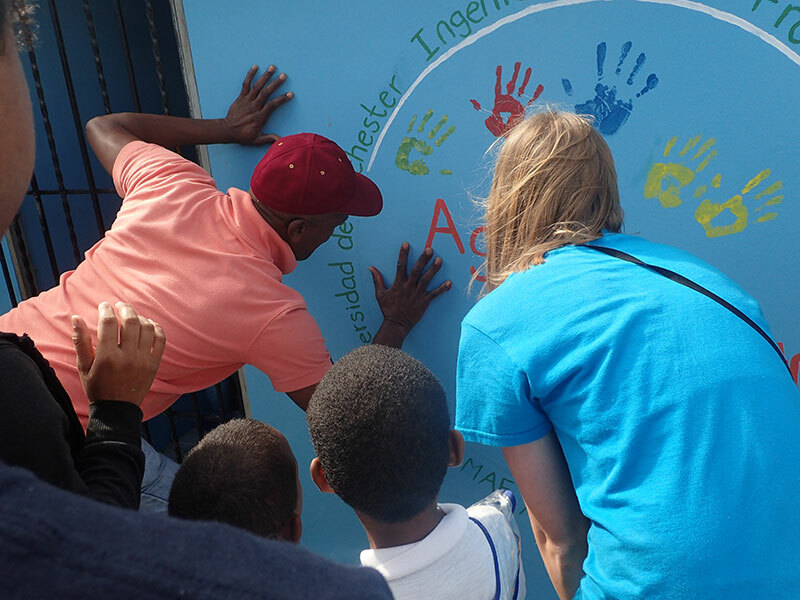 To accomplish this goal, the team organized workshops, question and answer sessions, and a tour of the structures to show parents, school staff, and community members exactly how the system worked. They showed the instructional video and left community members with a reference manual on how to monitor the system. Before they could even begin designing the system or outlining strategies to purify the water, the students had to determine the exact source of contamination. After testing the water at various stages and locations throughout the school, they determined the main source of contamination was bacteria found in water stored in a rooftop “tinaco”—a large water tank that holds the water before it is distributed throughout the building. Water tests indicated that the main bacteria culprits were coliform and E. coli, which can provoke symptoms such as abdominal pain, fever, and vomiting. The team discovered the water in the tinaco contained hundreds of coliform colonies. They addressed the problem by thoroughly cleaning and sanitizing the tinaco, moving a jet pump from the school’s library to the outside shed, and installing the new pump, chlorinator, pressure tank, and piping system. 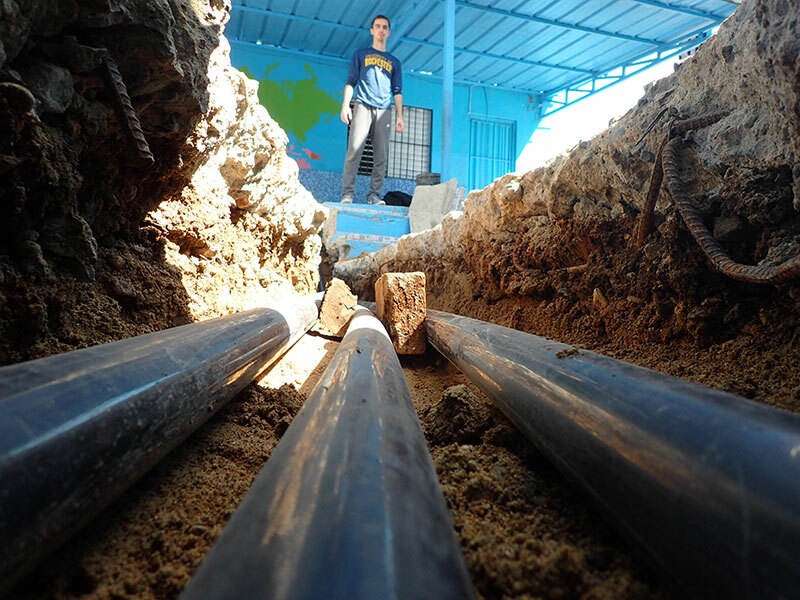 After this construction was complete, the team shock chlorinated the water disinfection system before connecting it to the school’s existing water distribution system. Once the system was complete, the team waited for a time when school was not in session to disinfect and flush it using a chlorine shock. “I had my fluid dynamics textbook from my class with Professor Aluie with me while we were doing the project because we had to do pressure loss calculations and that sort of thing,” Tuncer says, referring to Hussein Aluie, an assistant professor of mechanical engineering in the Hajim School. In addition to drawing from their classroom knowledge, the group worked with the Rochester Water Bureau to learn, for example, how to put cement around pipes, conduct pressure testing, and properly disinfect a well and plumbing system. They also had help from community mentors, including Harrienger, who assisted the students in evaluating options, designing systems, and integrating improvements. The team also had to be conscious of only purchasing materials that could be found in or near Don Juan, part of a commitment to support local businesses and ensure that community members have available materials. There were other challenges, such as working around government-mandated routine power outages that shut off electricity in various regions, for hours or even days at a time. On these days, they often worked late into the evenings, sometimes until midnight or into the early morning hours, relying on lanterns. “It was tough to deal with the ambiguities that come with doing projects in developing countries,” Salazar says. The project cost approximately $4,000, excluding travel expenses. University students funded travel and supply costs with University support including a Hajim grant, USEED crowdfunding, independent donations from individuals and local companies such as KodakAlaris, and various campus fundraisers including dinners and dances. 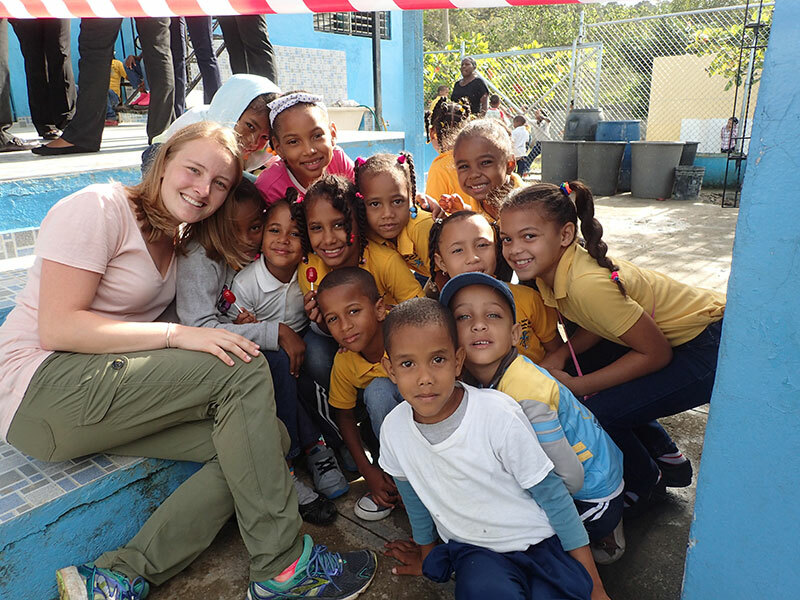 A group of students from the University’s EWB chapter will return to Escuela Taller Santa Maria Josefa Rossello in January 2018 for their first of two monitoring trips. As Eva Hansen explains, they’ll do things such as “help the community understand the necessity of repairing dead ends in the system, such as broken toilets and sinks,” thus reducing the opportunities for bacterial growth. On the last day before the EWB members left the Dominican Republic to head back to Rochester, the school thanked the team for their hard work and continued dedication to the project during a morning ceremony. One of the young students, in practiced English, stood in front of the group to give a speech.